Background: The measurement of respiratory system resistance during mechanical ventilation is important to ascertain the causes of increase in airway pressure during volume-controlled ventilation, which may include airways resistance and decreased respiratory system compliance. 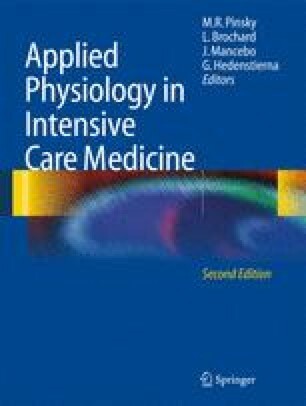 Discussion: Separation of total resistance from compliance of the respiratory system can be assessed by the end-inspiratory hold maneuver that separates peak pressure from plateau pressure. Conclusions: Although this method assumes a homogeneous respiratory system, it has proven useful clinically to separate flow-dependence issues such as bronchospasm or endotracheal tube obstruction from stiff lungs (acute lung injury) or decrease chest wall (abdominal distension) compliance.